Arxegoz Beauty is the South Seattle Studio of choice for Lash Extensions and Lash Lifts. Our Artists use high quality, natural products that are exclusive to Arxegoz Beauty. We manufacture our products with full knowledge of where they are made and what they contain. This sets us apart from the rest. LASH EXTENSIONS. Guests can come in for Classic or Volume Lash Extensions. Classic Extensions involves the application of a single lash extension on the natural lash. It gives guests a natural look with a bit of umph. This is perfect for first time lash extension users and for everyday wear. Volume Lash Extensions involves the application of multiple lashes to a single natural lash. As it implies, this gives guests that extra volume look. You can read more about Lash Extensions here. LASH LIFTS. Lash Lifts are another favorite Lash Service in our studio. This is a perfect choice for guests who prefer their natural lashes over extensions but would like a lift, eliminating the need of a lash curler for 4-6 weeks. 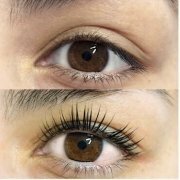 Lash Lifts are great for those who have had past sensitivity to lash extension products and do not have the time commitment for lash extension refills through the month. LASH MEMBERSHIPS. 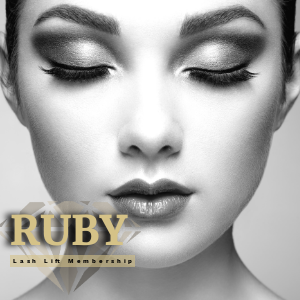 Our Lash Memberships are the best choice for guests who want to keep up Lash Extensions or Lash Lifts. Arxegoz Beauty Members save hundreds each month with membership and have exclusive pricing for additional beauty services year around. 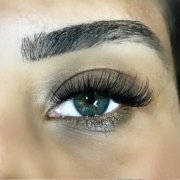 Lash Extension Removal: If you’re a guest of another studio looking to replace lash extensions from another studio, our lash artists are trained to remove lash extensions and can recommend best lash extension routines going forward. Book a consultation appointment to meet with an experienced Lash Artist who will discuss your lash goals, the types of lashes available, educate you about the process and–when you’re ready–book an appointment for lash extensions. We’ll review paperwork and plans you and the Lash Artist made together at the consultation. Then, you can kick up your feet and take a relaxing break from the hustle as the Lash Artists begins lash work. Full Sets require a 2 hour appointment time. Quick Fix Fills are 1 hour appointments. Emergency Fills are available for $35 at the member rate. Lash Lifts require a 1 hour appointment. Save by signing up for Lash Lift or Lash Lift Plus memberships, which include a facial during your appointment. Whether you’re keen on extensions or lash lifts, all of our membership plans are designed to be affordable for guests and provide ultimate savings all year long. Choose any of our membership options that best fits your lifestyle. Member benefits begin after Membership is active for one (1) month. May be canceled at any time, upon which benefits will expire at the end of the month. Cancellation requires 30 day notification and will then be effective the following month. Membership initiation fee of $35 will be accessed during membership enrollment. *Clients returning before the 6-8 week window for Lash Lifts will pay a $20 surcharge.